Mainland Southeast Asia underwent major civilizational transitions when the Hindu-Mahayana Buddhist Angkorian Empire met its end over the 13th-15th centuries and Theravada Buddhism emerged in its wake. While Angkor remained a reference for the new states that developed across the mainland, Theravada Buddhism structured the cultural, social and political forms which continue to define the region. Given the importance of these changes, astonishingly little is understood about how it actually happened, notably in the Angkorian heartland itself. By supporting interdisciplinary exchange on the Theravadin material heritage across the Southeast Asian region (including Sri Lanka) during this transitional period this symposium aims to begin to redress this gap in our regional understandings. Knowledge on the emergence of Theravada Buddhism in Cambodia is partially due to the nature of the transformation itself: marking an abrupt halt in the prolific stone temple construction, statuary production and epigraphic composition which had characterized the Angkorian Kingdom for more than four centuries, the early Cambodian Theravadin complex left relatively little easily accessible material evidence for its future study. This relative lack has been compounded by scholarly privileging of the spectacular accomplishments of Angkor since the beginning of modern scholarship in the colonial period. Times did change however, and it is time that the body of research on the early post-Angkorian period in the post-colonial era be collectively evaluated and pursued. Temples and stupas were built and rebuilt, statues were sculpted and retouched, texts were composed and recomposed, practices evolved and legends were born. Out of this work, the Cambodian state was given new life in and beyond Angkor and, in such, confirmed the hold Theravada had across the region. The dominant structuring of modern scholarship on the basis of national borders has further limited our understandings of the phenomenon at hand. Certain Theravadin forms and practices came to Cambodia from somewhere else at this time. From where? Why? And how? What can be discerned about and from the specificities of the Cambodian complex in relation to its Theravadin relatives? By bringing together scholars from across the region, and across disciplines, we aim to break new ground on early Cambodian Theravada and, in turn, shed light on mainland developments as a whole. This two-day conference will bring together internationally renowned scholars to explore the theme ‘Buddhism and Healing’ from their respective fields of study. The conference will address this subject through innovative ways from a wide range of interdisciplinary perspectives such as textual studies, history of medicine, medical anthropology and ritual studies. One major objective is to further our understanding of ‘healing’ by investigating the complex interrelationship between body and mind in Buddhist thought and practices in a wide range of different cultural and historical contexts. The aim here is to move beyond what is now widely regarded as a problematic dichotomy in Buddhist Studies, in order to propose a new and more satisfactory model of the dynamic body/mind relationship. Are Buddhist Scriptures the “Missing Link” in the Global History of Medicine? The conference will take place in the Parkinson Building (University of Leeds) on Tuesday 1 & Wednesday 2 July 2014. Please follow the link to access the UKABS 2014 Booking Form. The conference fee includes tea/coffee/biscuits on days, lunch and dinner on 1st July, lunch on 2nd July, conference pack, and conference facilities. Please view the conference homepage to access presentation abstracts and a programme of events. The Buddhist archive of photography, Luang Prabang, Laos, is most certainly the largest online photobase documenting the recent history of Buddhism in Laos. The digitisation of the original photographs found in Luang Prabang was supported by the British Library’s Endangered Archives Programme. Coming from more than 20 distinct monastery collections, this unique view from inside documents 120 years of monastic life and ritual, pilgrimage, monks’ portraits, history and social life. Important historic and political events of an agitated century in Laos at the same time appear as in a mirror: French colonialism, the Royal court, civil war, the Indochina and Vietnam wars, revolution and socialist rule. Quantity and quality of the material are as surprising as is the fact that it was produced in a city as isolated as Luang Prabang. It seems that there has been a particular inclination towards photography, which had been introduced very early by the French, was practised by the Royal court where young princes would learn about it, and take it with them when they were ordained as monks and became abbots of the various monasteries (there are 64 in town). Work started in 2007 with Pilot Project EAP086, followed by Major Research Project EAP177 – since then 33,933 photographs have been discovered in 21 monasteries of Luang Prabang and have been digitised, identified and safely stored. 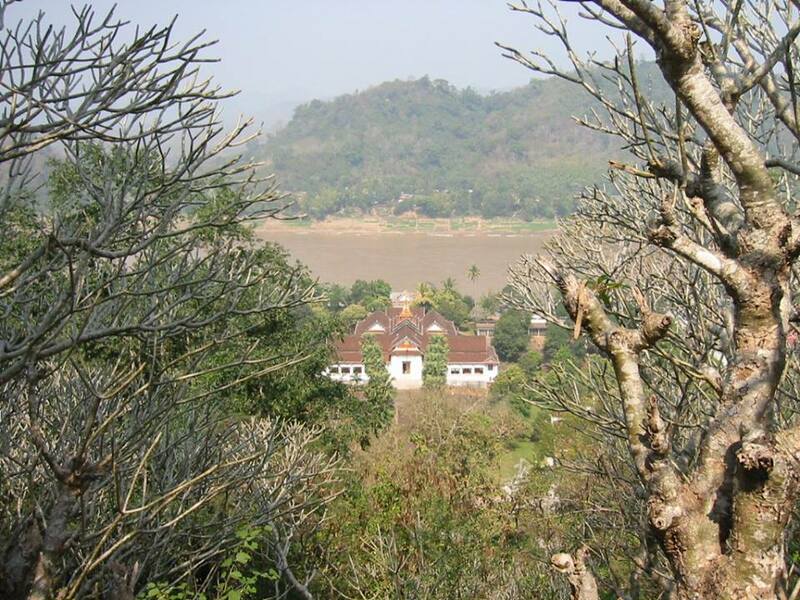 Most of the original photographs (prints and negatives) are now stored in specially designed wooden archive cabinets at the Sala Thammiviharn, Vat Khili, Luang Prabang – an historic monastic building in one of the monasteries, now entirely used by the Archive. Some minor collections have been restituted to their respective owners. Together with the 15,000 photographs treated in Major Research Project EAP177, the additional 18,933 photographs of this second project constitute the largest collection of historic photographs in Laos, and certainly the one that has been most thoroughly researched. Digital copies of the material have been deposited at The National Library of Laos, Preservation of Lao Manuscripts Project, Vientiane Capital, Lao P.D.R. and the British Library, London, United Kingdom.